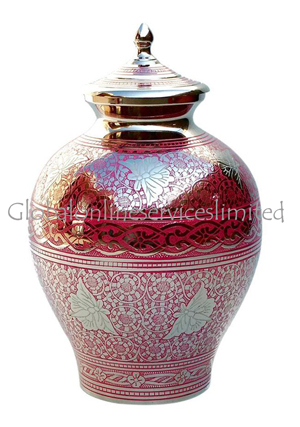 The large adult portland pink silver butterfly cremation urn is made of solid brass metal with engravings of silver butterflies and decorated in bands of hand designed floral curves. 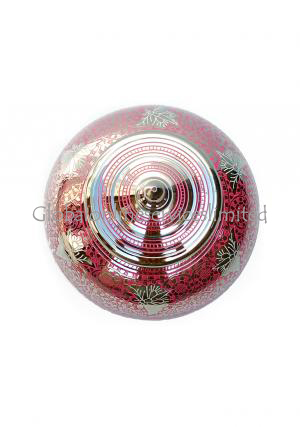 The adult ashes urn is superbly hand engraved in portland pink and we polished in silver finish. 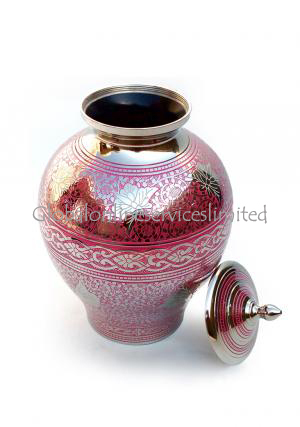 The adult portland pink silver butterfly memorial urn well moulded and present with a top lid decorated in bands of pink to cover the top opening of the urn. 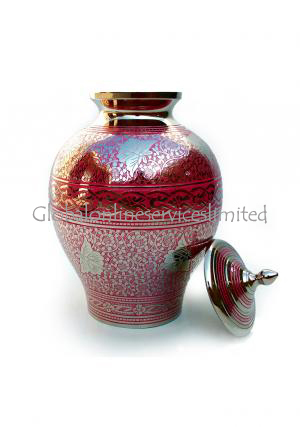 The lid of adult urn is engraved in threading for a secure closure of loved ones ashes. 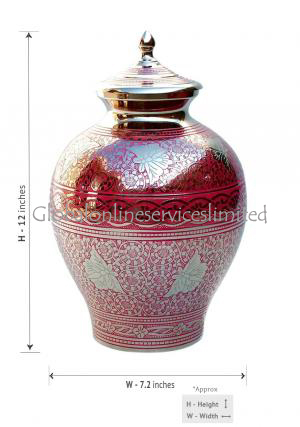 The large adult funeral urn measures to be 12 inch tall, 7.2 inch in width and weighs 2.4 kg approximately. 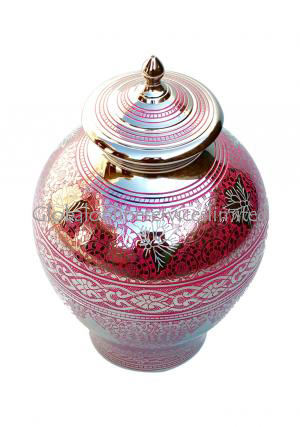 The urn has volume space capable to hold 200 cubic inch ashes of human.